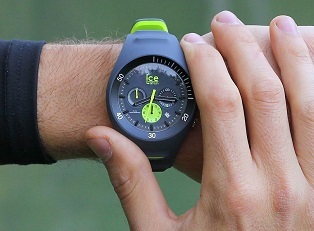 Penang, Malaysia – April 23, 2016 – ICE-WATCH which has been ticking its way into key shopping hubs in Peninsular Malaysia has now made another mark here in Penang with its first fashion show titled “The N-ice Time Fashion Show by ICE-WATCH” in conjunction with Gurney Paragon Mall’s Penang Fashion Week 2016. With 15 ICE-WATCH galleries set up in the country since 2014, the affordable luxury brand, which is hailed among the top names in fashion watches around the globe, has fast become a common sight on the wrists of both the young and young at heart from all walks of life. The trendy, “too cool for school” styles and vivid colours of ICE-WATCH make it the perfect easy-to-wear accessory, whether as casual wear, for work or an evening out with friends. With a price that also makes it easy on the wallet, many opt to have a collection of these fun timepieces. 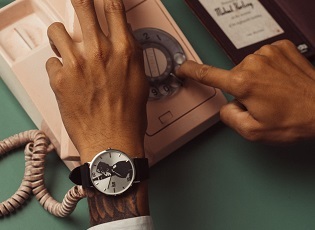 According to Melvin, the brand name ICE represents the values associated with the word “Ice” - transparency and purity, while the watches come in a packaging that mirrors a money box that is equally as desirable. Fans and fashionistas in Malaysia can look forward to a frequent stream of new designs in new materials that are bound to keep this brand firmly on the top of every wish list. The fashion show also features a sneak peek of two of their latest novelty of timepieces called City Tanner and ICE duo which will be available from June 2016. 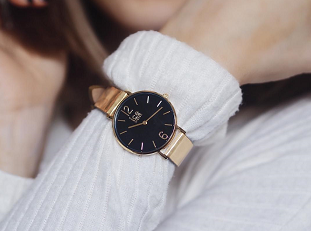 City Tanner is pure sophistication spiced up with a touch of glossy, the CITY tanner collection will delight aesthetes and fans of 70s style with its wrist strap in smooth leather with no texture, available in eight colours. At the cutting edge of fashion with its extra-flat round dial, it has a minimalist look that combines old school elegance with modern urban purity. Chic, practical and oh so trendy, it will match every mood! They come in two sizes (36mm and 41mm). What is better than one, two of course!? 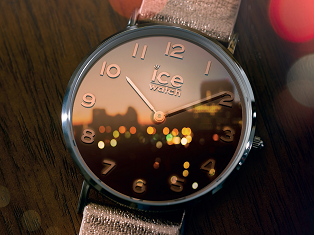 Colour is powerfully back at ICE-WATCH with the new ICE duo collection. Super-trendy watches that are all about colour contrasts: anthracite and yellow, dusty and coral, pink and mint, or black and orange. Each model appeals by combining a subtle shade for the dial and top of the wrist strap, and a strong colour for the hands, inner circle and bottom of the wrist strap. Its 20 two-tone watches at the cutting edge of fashion will match every wardrobe and every occasion. Wear them at any age for a dynamic touch that is never boring. With such dynamic ranges of timepieces, you can be sure this won’t be the last fashion avenue that ICE-WATCH stops at. The Belgian brand is looking to take their novelties to the fashion catwalks throughout Malaysia in the coming months.